Is ripple of LC filter constant? How LC filter ripple becomes independent of load. Does it remain constant or it varies with the load? I know that capacitor filter has low ripple in low load, and with high load its ripple increases so it is used in low power supply, while inductor filter has low ripple in high load and at low load its ripple increases. Could you explain it with some formula? simply put, it is not independent of load, during design you tend to consider the load as a resistor and usually just affects where the system will stabilize and it is most cases the final result not far from this, at least from my experience, but if your load has any significant inductance or capacitance it will affect the damping factor and how it responds in each case. there is a well written answer in a previous post, so I will refer you to it. since you want a formula, the dampening factor or quality factor are perfect let's assume we can reduce the whole circuit to series parameters. Everything is present, so R is all the resistance(load+filter) then C and L with the same line of thinking, of course your filter is not really connected in series, but the only change will be the ratio between the filter parameters and load parameters, they will still have an effect which is what I am trying to explain. different values of this, will yield different ripples and different responses, at the end you can evaluate the same thing with quality factor. In the linked post it is explained with figures and examples. Or you can investigate more. Therefore, any Q variations due to loading will be minimal hence, the attenuation of ripple is purely down to how much attenuation the basic LC circuit produces. Loading effects will be seen as variations in the graph (above) around resonance (\$\omega/\omega_0=1\$) and will be hardly noticeable at much higher frequencies. So, ripple reduction at \$\omega/\omega_0=5\$ (for instance) will be about 27 dB. At \$\omega/\omega_0=50\$, the attenuation will be 40 dB smaller. How LC filter ripple becomes independent of load. Does it remain constant or it varies with the load? If you get to the point where ripple voltage is increasing with an increasing load current then the filter is starting to become ineffective and you should consider a better filter design. EDIT: To me, it is not clear what you mean (your wording: "...ripple of LC filter"....."filter has low ripple"...). Do you speak (a) of a ripple reduction of a signal due to filterinng or (b) ripple within the pass band of a filter (ripple of the transfer function)? I assume you are speaking about the ripple within the passband of a filter (lowpass, highpass, bandpas). In this case, the transfer function of the filter is not according to the Bessel-Thomson or Butterworth approximation but it is a kind of Chebyshev response. These various approximations differ in the corresponding pole locations (expressed, for example, by the Q values). These "quality factors" Q have close relationships with the damping within the filter circuits. For this reason, the transfer function of passive LC ladder structures, of course, depends on the ohmic resistances at the input and output nodes of the LC ladder. Therefore, the ripple within the passband (which depends on the transfer characteristics) depends on the load resistor. 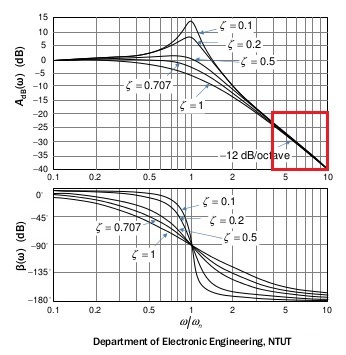 Of course, this is not the case if the filter output is decoupled from the load by a buffer (or when you are using an active filter with a low-resistive voltage output). How to calculate capacitor value to reduce PWM load ripple? What is time constant in LC circuit?